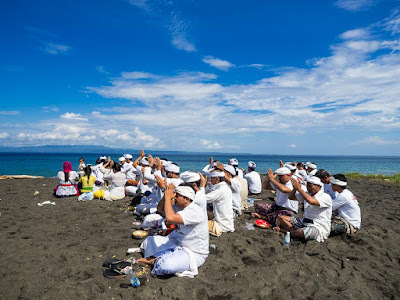 Prayers on a beach in Bali. 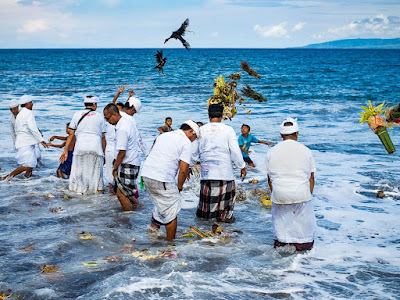 I inadvertently followed up the ceremony in Tampaksiring with a Hindu ceremony on the beach near Kusamba, in eastern Bali. It was advertent because I went to Kusamba to photograph salt works, but it has been raining for almost a week straight and the salt works were too wet to make salt. 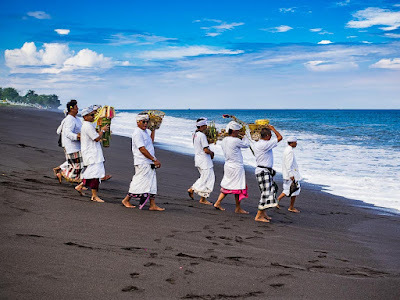 Coincidently there was a Hindu ceremony to mark the full moon, on the beach right next to the salt works. So I put on my sarong (because I always carry a sarong with me in Bali) and walked down the beach to the ceremony. Men and women pray during the beach ceremony. I missed most of the ceremony and got there as it was ending. 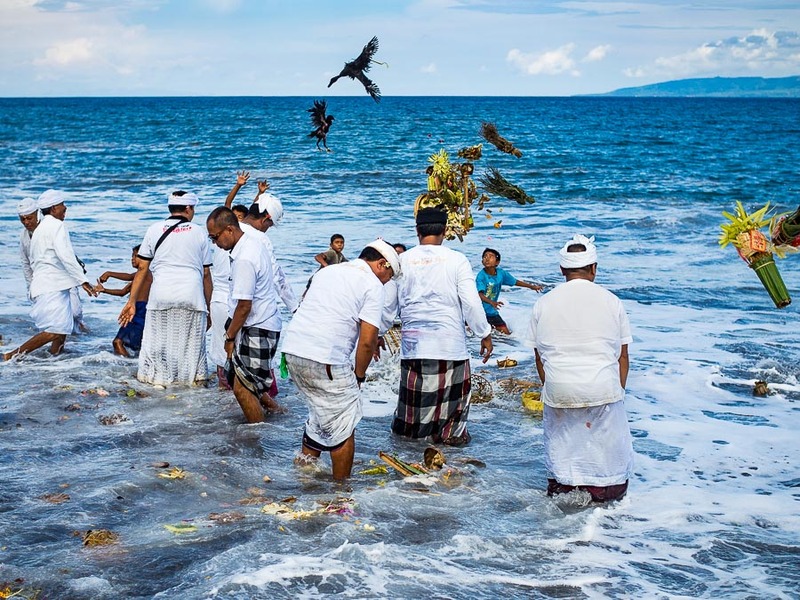 People prayed while Hindu priests sprinkled them with holy water and then a group of priests walked down to the water's edge and threw offerings into the surf. ...and thrown into the surf. 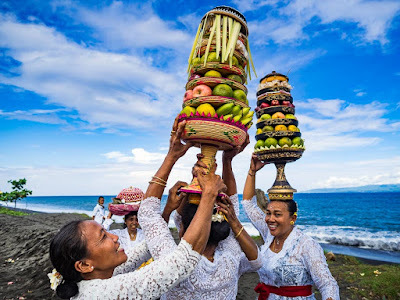 I only saw the final 15 minutes or so of the ceremony, but it was enough for me to make a few photos and revealed another side of life on Bali to me. Women pack up and leave the beach.